Home > Our Team > Contract Drafting, Homebuilding & Residential Construction, Hospitality, Negotiation & Project Delivery > John James McKenna, Jr.
John McKenna has successfully represented clients in regional and national construction disputes both complex and small, including mold and related personal injury litigation, delay claims, chemical releases, project close-out disputes, liability insurance coverage disputes and lien claims. The litigation matters have spanned both residential and commercial projects, and include luxury condominiums and mixed use facilities, hotel towers, commercial buildings, assisted living facilities, hospitals, manufacturing plants and new home communities. Mr. McKenna also regularly counsels clients in implementing integrated risk transfer and avoidance strategies through effective contracting, for both ground-up and large scale renovation construction projects across the United States. In the construction defect arena, he has recovered over $27 million dollars in cost of repair and consequential damages, “dollars in the door,” on behalf his commercial clients (including some of the country’s largest commercial owners and developers). As defense counsel he has secured numerous defense verdicts for national and regional contractors and builders facing multiple millions of dollars in potential liability. He has also represented and guided builders facing serial, “bet the company” fraud and products liability lawsuits and associated insurance coverage disputes to highly favorable outcomes. On the transactional and project delivery side, Mr. McKenna has developed an extensive library of custom form construction contracts, tailored for differing jurisdictional requirements, client needs and asset types, which his clients regularly draw upon and benefit from for projects throughout the country. He both counsels his clients in the effective use of such documents and negotiates the contracts on their behalf. Mr. McKenna regularly represents and counsels clients in connection with the array of cost overrun, delay, property insurance, mechanic’s lien and other similar issues that crop up during the course of construction and at the time of project close-out. He also represents and counsels clients on the Americans with Disabilities Act, in connection with due diligence efforts, and compliance issues. The project types include multifamily and mixed use, office, condominium, large scale conversions, retail, time shares, hotels and industrial. Mr. McKenna is a graduate the Columbia School of Law, Catholic University, Washington D.C. He is member of the Bars of the District of Columbia and Maryland as well as the United States District Court for the District of Maryland, and served as law clerk to the Honorable Thomas A. Flannery, US District Court, District of Columbia, from 1992–1994. 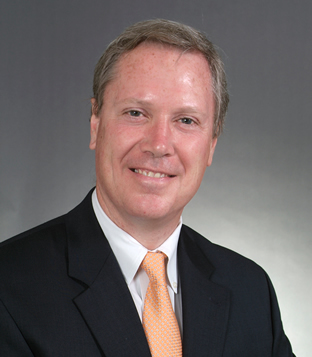 He is a member of the NAHB’s Construction Law Attorney Forum, a select group of attorneys from across the country chosen by the NAHB for their recognized experience representing builders, and has lectured both regionally and nationally on matters such as construction defects, mold, and condominium liability exposures. He has authored numerous articles on construction law, including an analysis of the 2009 Federal Stimulus Act’s impact on green building activity for the web publication Green Space Today. He has been recognized as a leader in construction law for the Washington Metropolitan Area by both Chambers USA and Super Lawyers, and has achieved Martindale-Hubbell’s highest peer review rating of AV-Preeminent and most recently, has been chosen by his peers for inclusion in the 23rd Edition of The Best Lawyers in America for his work in the field of construction law.